The World Photography Awards is celebrating a decade-long partnership with headline sponsor, Sony, with the aim of the awards being to recognize and reward the very best contemporary photography captured over the last year. 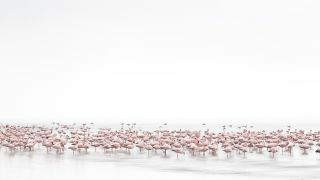 The awards incorporate four competitions – Professional, Open, Youth and Student Focus – with the overall winners of the 2017 Sony World Photography Awards announced on April 20. In the build-up to the awards next month, the winners of the Open (amateur) categories have been announced. Each winning photographer will receive a Sony Alpha A7 II kit, and will now compete to win the title of Sony World Photography Awards’ Open Photographer of the Year title. The winner will also earn a trip to the winners' awards ceremony in London in April and $5,000 prize. You can see more images and learn more about the competition at the World Photography Organisation website. The winners of the Open categories will be shown at the Sony World Photography Awards 2017 Exhibition, held at Somerset House, London. The show opens on April 21 and runs until the May 7, with the exhibition showcasing all the winning, shortlisted (top 10) and commended (top 50) images drawn from more than 227,000 entries that have been entered from 183 countries. It will also feature a special dedication to British photographer Martin Parr, recipient of the Outstanding Contribution to Photography prize.